KATHMANDU, Nov 06: Qatar Airways and Rolls- Royce have jointly conducted unique specialized training program for the airline’s National engineers, as a part of its Al Darb Qatarisation program- an initiative that aims to support Nationals to become passionate global citizens and leaders in the aviation industry. 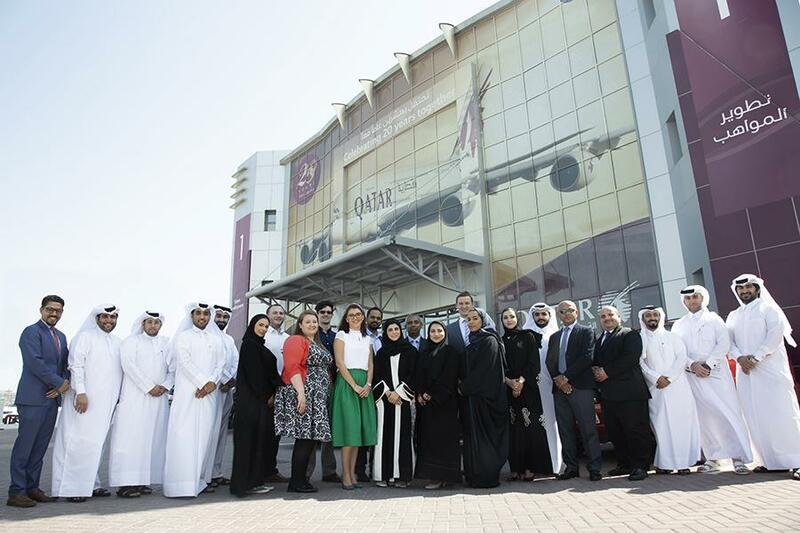 The Senior Vice President Human Resources of Qatar Airways, Nabeela Fakhri, stated that Qatar Airways is proud to be collaborating with Rolls-Royce on this specialized Innovation Program to provide our Nationals with essential insights from both organizations. This is a unique opportunity for Al Darb participants to learn from some of the sharpest business minds in the aviation industry. Devised to enable Al Darb participants to learn from Rolls-Royce’s innovation and leadership, the program will consult professional experts from the automobile company to introduce the airline’s National engineers to a variety of topics fashioned to challenge them. The program aims to allow different individuals to work together to generate creative solutions that will help enhance their skills further by exposing them to new perspectives.